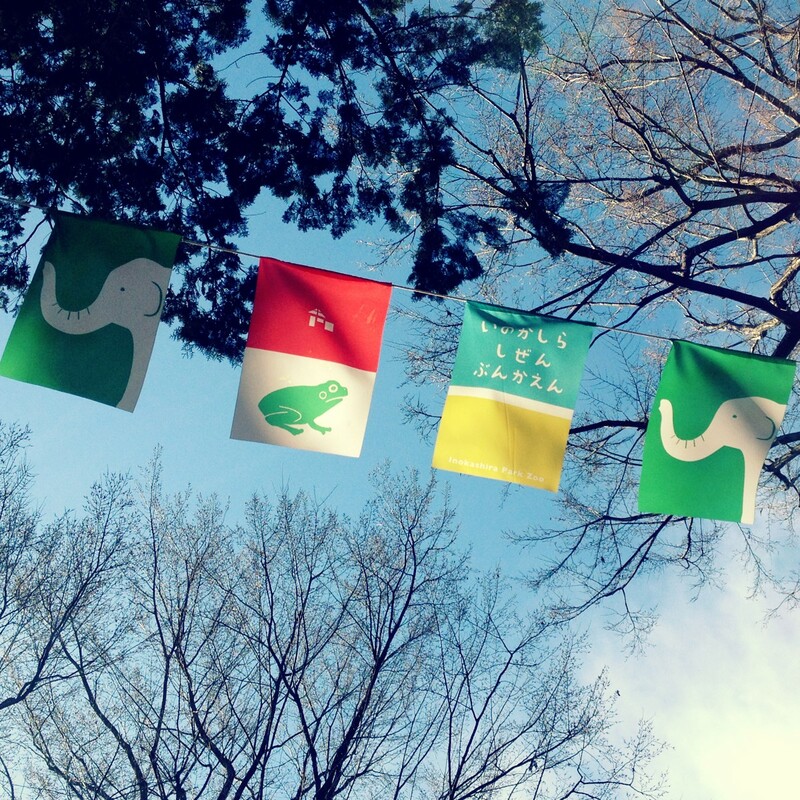 Frog and Elephant Flags – Where is Naoko? Saturday afternoon at Inokashira Park Zoo. We watched Hanako the elephant eat rice balls and pineapples with her nose.